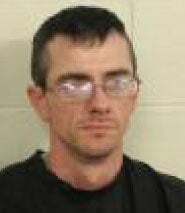 A Rome man turned himself into the Floyd County jail early Friday after being charged with burglary and drug possession. Justin Scott Irwin, 38, of 105 Pine St., was present at a property on Walnut Avenue without permission to be there and in possession of tools to commit theft or burglary as well as methamphetamine. He entered a storage building on the property with intent to commit a theft. Irwin is charged with felonies first degree burglary, possession of methamphetamine and possession of tools to commit a crime. He is also charged with misdemeanors loitering or prowling/prowling.